Another product developed to make Magento great again is Magento Business Intelligence. This Magento 2 solution has been recently launched along with B2B Commerce Cloud, Magento Social, Magento Shipping, and Magento Small Business. Being based on RJMetrics, Magento Business Intelligence introduces advanced analytics for affordable price. As usually, we shed light on product’s features, describe the platform it is based on, and provide information about similar third-party solutions that you can easily integrate into your Magento 2 store. Let’s get started! 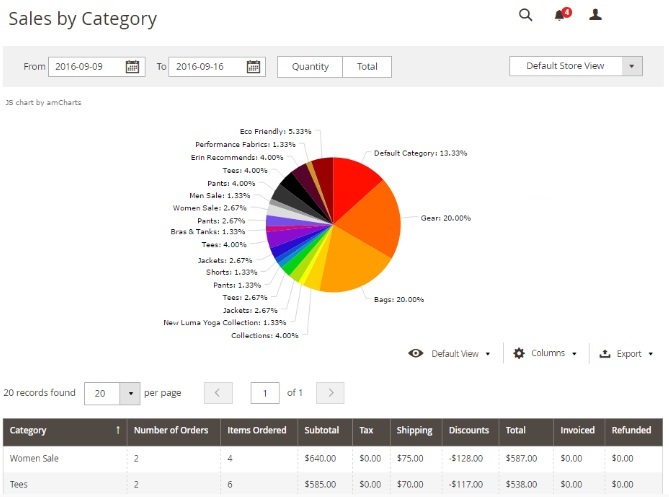 The core aim of the Magento Business Intelligence module is to acquire, convert, and retain more buyers. Well, this is the key goal of more than a half Magento extensions, so how does the new product achieve it? The new solution provides you with the power of a team of analysts. It doesn’t matter whether it is a real team or a complicated algorithm, because you can fully leverage the provided features and data to join a completely new business level. First of all, Magento Business Intelligence helps to acquire more valuable customers. How is this possible? The Magento 2 module sheds light on the behaviour and attributes of your buyers. As a result, you can easily find out the most valuable clients. Furthermore, the new service allows you to learn their tastes and implement individual approach on the basis of this information. As a result, it’s no longer a problem to turn buyers into brand advocates. With Magento Business Intelligence, you will easily optimize targeting, merchandizing, and decision making replacing your old hammer stroke approach with a rapier hit. It’s not a secret that such approach allows to increase ROI. The new service not only shows the results, but also allows you to discover how your investments are turned into revenue. Thus, it is possible to control spending while driving profitable growth. If you work in a team, Magento BI also has a lot of benefits. Thus, everyone in your team gets the same source of vital information about key business metrics. You can share reports between each other, set goal and achieve them together, as well as get an extra layer of motivation: all successes are visualized encouraging team members to reach new peaks. And you can always get an additional level of support from the team of professional analytics. Sounds like something very expensive, isn’t it? But it is written that you can get advanced analytics at an affordable price. And according to Magento, the price of BI starts at $100 per month. And while for some companies it is very budget-friendly proposition, there are tons of merchants who can’t spent a hundred bucks every month on stats even if they are vital. Luckily, the ecosystem offers some reliable third-party Magento 2 extensions. You pay only ones (note that the average price is about $300) and get a set of reports, but before we proceed to third-party modules, let’s see what features RJMetrics offers. 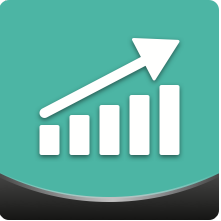 When you visit the RJMetrics website, you can notice the same information as we’ve just describe: “fuel your business growth with data”, “acquire, convert, and retain more customers”, “combine rich data from Magento with the business insights”, etc. Everything tells that you’ve come to the right place where you can get help, support, and tons of data related to your customers and products. Thus, RJMetrics helps to optimize nearly every part of your ecommerce business. 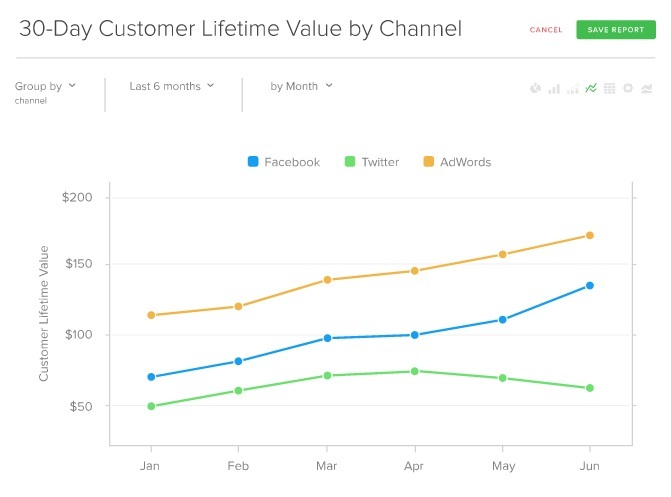 Here, your customer lifetime value is divided by add channels. Thus, you can see the most effective channel and perhaps stop using the least effective one. 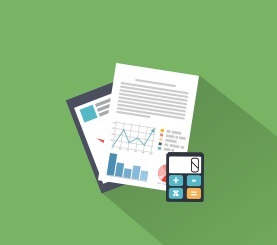 The highest and lowest ROI of campaigns and the best performing segments of retention marketing campaigns also have their own reports and graphs. 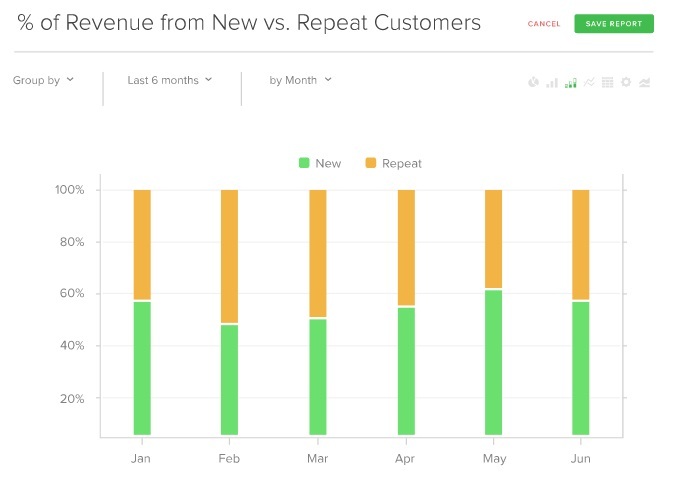 To illustrate customer retention, the RJMetrics solution offers Customer Lifetime Value Cohorts, shows $500-$1000 CLV Customers with Open Tickets, and displays % of Revenue from New vs. Repeat Customers. 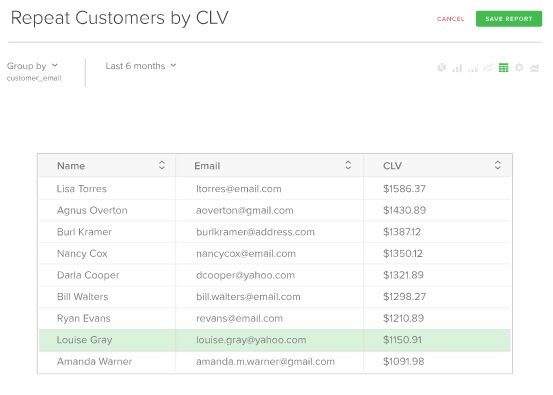 In Fundraising, you can view Key Performance Indicators by Month, Repeat Customers by CLV, and Customer Lifetime Value by Plan Level. With the help of this advanced analytics tool you will essentially expand the default reports functionality of Magento 2. 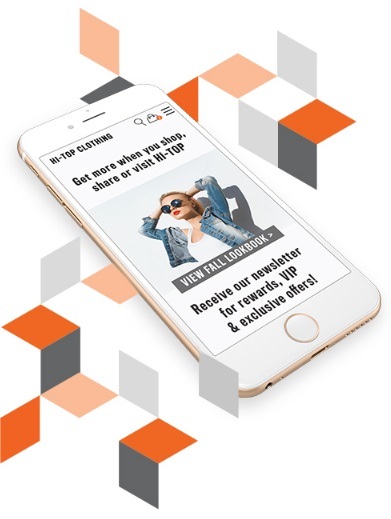 The same goal has Magento Business Intelligence, so check the Amasty’s solution to know how a more affordable alternative works. 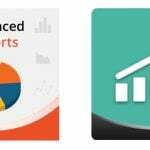 The Advanced Reports Magento 2 extension analyzes your sales, products, and customer behavior to gather vital data which is used for creating business predictions and building more efficient marketing. The module offers 14 report types, highly informative dashboard, multiple filters, customizable graphs and grids, as well as data export. 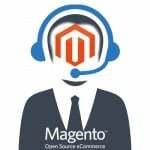 This is the most affordable reporting solution for Magento 2. 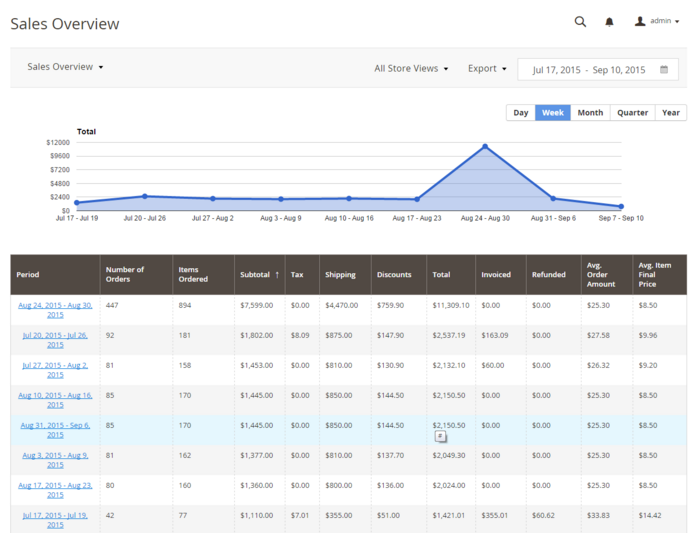 For only $199, you get 12 report types that fully describe key areas of your ecommerce business. Sales overview report, Sales by hour of day/ day of week/ coupon code/ customer group/ payment type/ category/ geo-data/ customers, New vs Returning customers, Bestsellers and Product performance, Sales by attribute – these are key report types. And you can easily export reports via CSV or XML. The AheadWorks Advanced Reports Magento 2 extension provides 12 reports that help to explore sales, customer behavior, and product performance. The module offers a detailed report drill down with additional information on each report as well as interactive charts with multiple parameters (customer segmentation is possible by group!). 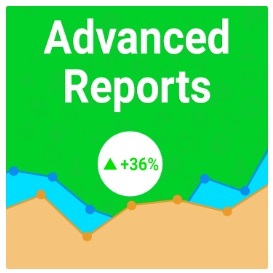 And you can easily compare reporting periods, calculate profit and margin, and get data on traffic and conversions with AheadWorks Advanced Reports. It is also necessary to mention this is a very fast and reliable tool that never fears order-heavy stores. We’ve compared the aforementioned Magento 2 extensions here: Magento 2 Advanced Reports Comparison (Amasty vs Mirasvit vs aheadWorks). So if you want to know what tool is better or what extension is more suitable for your business needs, check the comparison. Besides, you can figure out how to get more Enterprise Edition features on the Community platform. 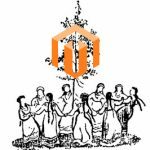 Follow this link for further information: Magento 2 Enterprise Edition Features On A Community Website. We are glad to see how Magento makes the platform better by adding new features. Even a few years ago it was hard to imagine that something like Business Intelligence will become a part of the system. At the same time, it is great to be able to choose third-party modules and enhance the platform in a way you want.